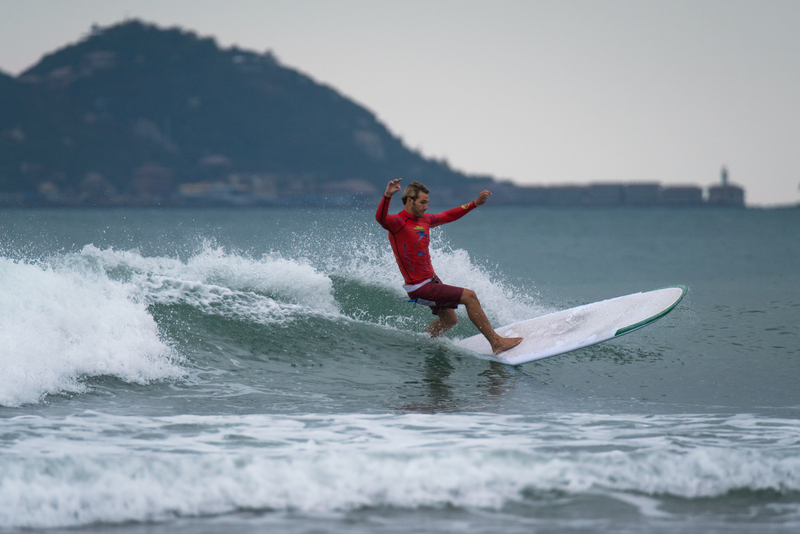 The world’s best longboarders kicked off the competition on Saturday at the 2018 ISA World Longboard Surfing Championship in Wanning, China, dropping high scores and putting on an exceptional display of talent, style, and skills. USA’s Kevin Skvarna and Hawaii’s Honolua Blomfield and Kai Sallas were the standout performers, all attaining wave scores in the 9-point range out of 10. Team China impressed the visiting international delegations and put their progression and promise on display for the world to see. Guo Shujuan took one big step for Chinese Surfing and won the first-ever heat for a Chinese competitor at an ISA World Championship. Skvarna’s consistent, traditional approach to longboarding proved ideal for the conditions at Riyue Bay. Between his two heats on day 1, he impressively scored three waves in the 9-point range. Skvarna’s 9.1 and 9.17 in Main Event Round 2 summed up to the highest heat total of the day, 18.27. Blomfield, the 2013 ISA Junior Gold Medalist and 2017 WSL Champion, asserted herself as a leading contender for Gold in the Women’s division, gracefully connecting sections with multiple hang 10 maneuvers to earn the highest women’s total with 17.73. The women’s division proved to pack a powerful punch with Chloe Calmon (BRA) and Tory Gilkerson (USA) respectively earning the second and third highest women heat totals of the day with 16.83 and 16.47. Following Kevin Skvarna as the top performers in the Men’s Division were Hawaii’s Kai Sallas with a 17.93 heat total and the English duo, Ben Howey and Ben Skinner respectively with heat totals of 14.93 and 14.33. Saturday morning’s competition got underway with increased swell and excellent conditions at the long, left-hand point break of Riyue Bay. Waves in the knee to waist high range with excellent form curved into the bay and allowed the record-breaking 71 athletes from 22 nations to put their talent fully on display. The local Team China stood out with unmatched emotion and solid surfing, demonstrating the talent that this emerging surfing nation possesses. China’s Guo Shujuan won her heat and Huang Wei advanced through his Round 1 heat with strong support from the local audience. “I am really proud to be on the Chinese team,” said Guo Shujuan. “This is my first time participating in the ISA World Longboard Surfing Championship, so I am so excited to win this heat. “Representing my country means a lot to me. When I first found out that this world championship would be held here in Hainan I was so excited. I feel proud of myself to advance through my first heat. Adding to the inspiring stories unfolding during the first day of competition, South Africa’s Alfonzo Peters put on a solid performance and advanced through the first round of competition. Peters expressed his stoke upon advancing through his Round 1 heat and shared his story of how Surfing has changed his life. “To start the competition was amazing. We have been here for three days and the anticipation was building. I think it’s amazing we have small, clean waves, what longboards are made for – it’s perfect. “Surfing for my country feels amazing. It is the biggest achievement that you can get in sports. I feel proud to fly that flag high. Peters wasn’t able to advance through Main Event Round 2, but due to the Repechage format he will get a second chance on Sunday to compete and continue advancing through the event. “What an incredible start to the competition here in China. 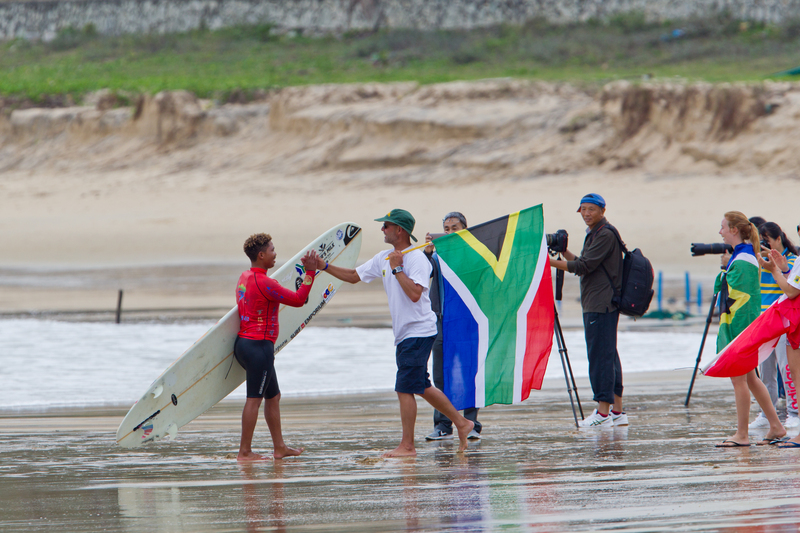 We saw some excellent performances from the world’s best longboarders. The women earned many of the day’s highest heat totals, which is a testament to the growth and strength of women’s longboarding around the globe.